Guys, step away from the selfie stick. 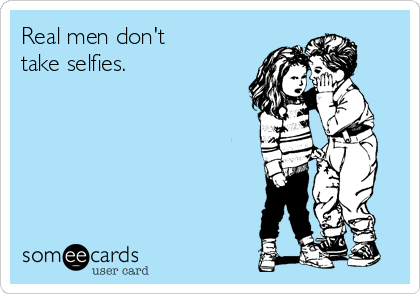 New research suggests that men who take a bajillion photos of themselves score highly in the psychopath department. The research, conducted by Ohio State University, also found that selfie-lovers are more likely to show signs of being narcissistic, impulsive and display other anti-social characteristics such as a lack of empathy. The study, published in the journal Personality and Individual Differences, involved asking 800 men aged between 18 to 40 about their photo posting behaviour on social media, as well as enquiring as to whether they edit their photographs before posting. Researchers found that posting more photographs was linked to being narcissistic and psychopathic. Another key finding was that men showing signs of psychopathic behaviour did not take time to carefully edit their photos before posting them. "Psychopathy is characterised by impulsivity," said Fox. "They are going to snap the photos and put them online right away. They want to see themselves. They don't want to spend time editing."